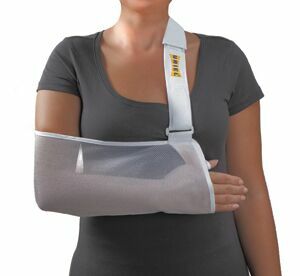 The pouch supports the arm during recovery of fractures, sprains and other injuries. Hook and loop fasteners for easy application. Breathable Light material, suitable for warm climates.